Milwaukee’s dynamic range of products includes handling equipment as well such as electrical chain hoists. There are a few big names in this industry including a heavyweight as intimidating as JET but Milwaukee doesn’t hold back in bringing its competing products to the market as they believe in the quality and performance of their products. 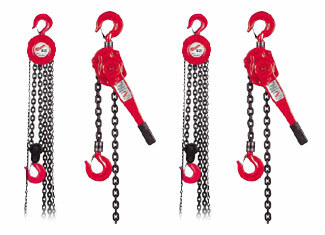 Chain hoists usually go for a long run without giving any headaches whatsoever but in this space anything can happen. For the same reason toolpartsPro offers Milwaukee chain hoist parts that are sold for amazingly low prices so you can repair your equipment at cheaper prices. 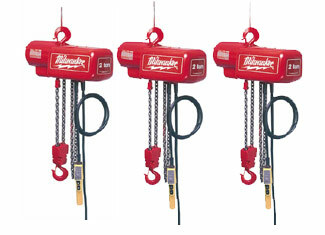 Our range of chain hoist replacement parts also includes Milwaukee electric chain hoist parts. Bring your tool back to life with toolpartsPro. It’s not just about the product itself at toolpartsPro but also how it is served. That’s why we make a big deal of the variety we offer, prices we charge and the after sale customer service we provide. Hunt your part down with ease by using our search bar at the top but if you’re having any difficulty, kindly call us now at 888 982 6540 toll free so we can get what you need and answer your questions as well.